The High Fiber is a wife and husband team creating useful art for sharing and celebrating the joys of simple living. From design, through print and stitch, all the way to packaging, the two of us make these in our Gainesville, Florida studio. Thanks for visiting! 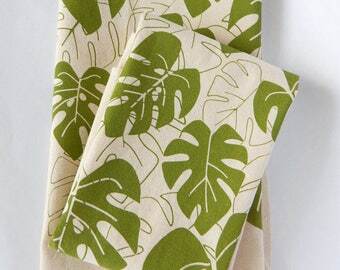 Love these beautiful kitchen towels. Super soft and adorable. 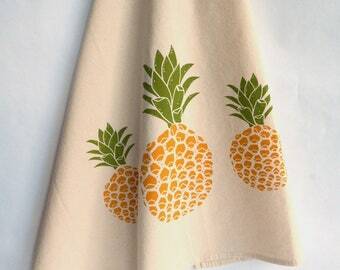 I spend lots of time in my kitchen and I am always so happy to find quality towels. Thank you for the napkins ! New kitty print now available! 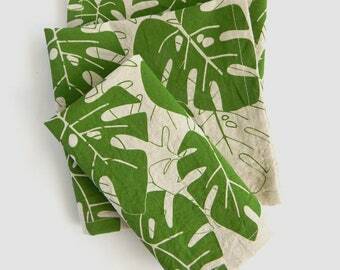 We are so excited to introduce these new 100% natural cotton napkins! They are essentially smaller versions of our super soft towels, so they match perfectly! 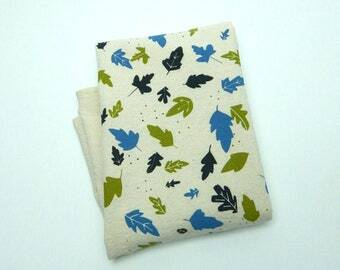 New Veggie Pot Pie natural cotton towels! The High Fiber started as a seedling somewhere around 1986 when I, at the age of 8, received my first bag of fabric scraps. Crudely designing and hand stitching clothes for my dolls became a daily habit. A few sewing machines, lots of practice, and many years later, the dream of "making" a living came to be a reality with The High Fiber. Officially beginning in 2008, it still continues to evolve, and I am grateful for the chance to share it. My husband, Ed, joined me in business in March of 2014, trading in the wildly demanding restaurant business for screens, ink, and many more family camping trips than we ever thought possible. We spent 10 years in a sweet mountain town just minutes north of Asheville, North Carolina. In 2017, we relocated to Gainesville, Florida. We strive to live thoughtfully and simply, and I am still constantly inspired by that simplicity, the gorgeous mountains that surrounded us and the community of growers and abundance of life within them in Western North Carolina. While there is rarely a lack of inspiration, our products are always guided by conscious, responsible decisions. We use organic, responsibly grown, fairly made, or American made fabrics as often as possible. We use only solvent free, non-toxic inks that are environmentally kind and made in the USA. Every item that we make for you has been made as if it is intended for my own family (because most of them originally were). 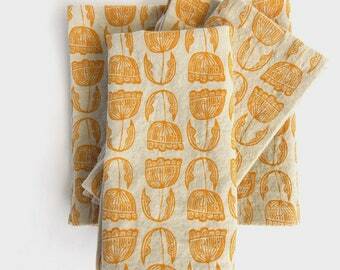 The High Fiber designs and prints home products to celebrate and share the joys of simple living. We, Daphne and Ed Cohan, design and print all of our items in our Gainesville, Florida studio using natural, minimally processed fibers and water-based inks. 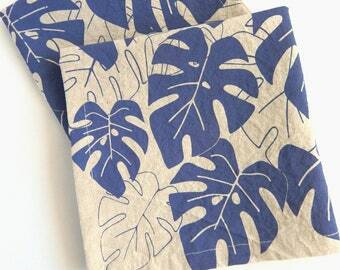 We burn our silkscreens using the magic of sunshine and each of our prints are hand pulled. I accept returns for still packaged, unused items for any reason. If there is something wrong with your order, contact me right away and we'll work it out! Wel ship via USPS First Class or Priority Mail. All of our items are shipped in recycled / reusable / recyclable (#2) packaging from EcoEnclose. Our products are washer / dryer safe. We use screenprinting inks that are permanent just like you'd expect a T-shirt print to be. We do use water-based inks, so after your item's first wash, you won't feel any ink at all. Please wash before first use! Yes! We do wholesale, and you can visit us at www.thehighfiber.com/wholesale for more information. We do! From the original illustration, all the way through printing, sewing, and packaging, we do all the work. We guarantee our products! If you have any issues at all, just send us a convo and we will fix it.